IT Printer Security is indispensable for secure business operations and uninterrupted processes. Whether it is because of the increasing threat of cyber attacks, the growing number of applications and sensitive data, or new regulatory requirements, security in office communication represents a challenge for every company. In today’s tech-enabled environment, device proliferation is leading to complex multi-device and multi-platform infrastructures as businesses continue to focus and adapt to becoming mobile and meeting the demands of their workforce. Every one of these devices, including office printers and multifunction devices, are all access and exit points for potentially sensitive company data and can come at a security cost. 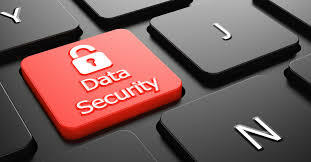 One of the biggest challenges facing companies today is how to control and secure data without disrupting business operations. Increasingly, data is being held and processed beyond the firewall boundaries, making the task of securing data more difficult for network defenders. The result of a company data breach can be devastating to an organisation, large or small. As well as huge penalties, imposed by strict new compliance regulations there is the damage to a company’s reputation. As firewalls are no longer enough to protect your data, businesses must implement multiple layers of protection down to every network endpoint—from PCs to printer and address compliance requirements.